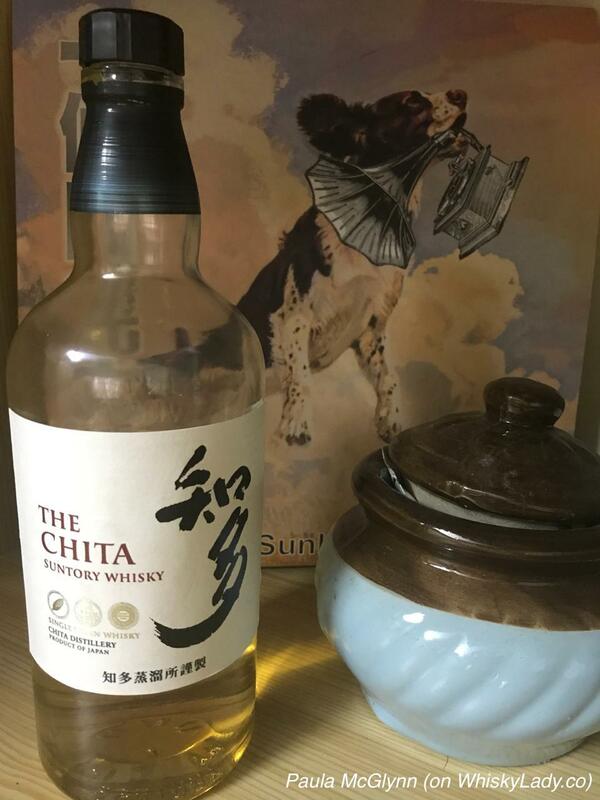 After the Suntory’s Hibiki blend, our Japan jaunt shifted to a vatted / blended malt from Nikka. 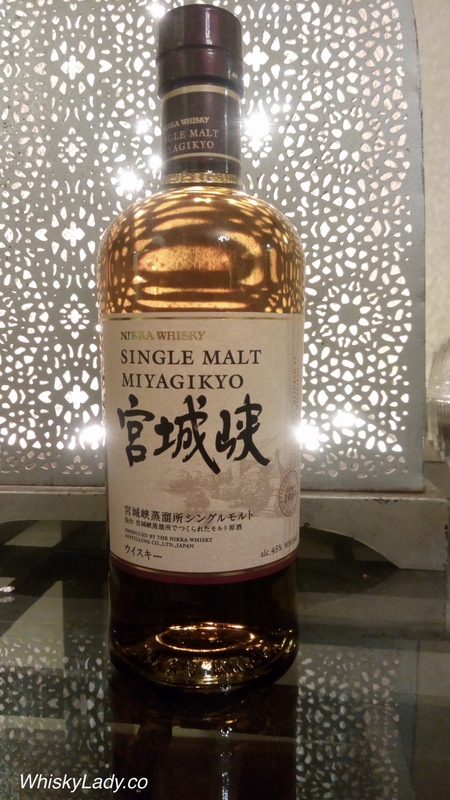 This particular dram brings together single malt from Yoichi and Miyagikyo pot stills with a Coffey malt whisky. 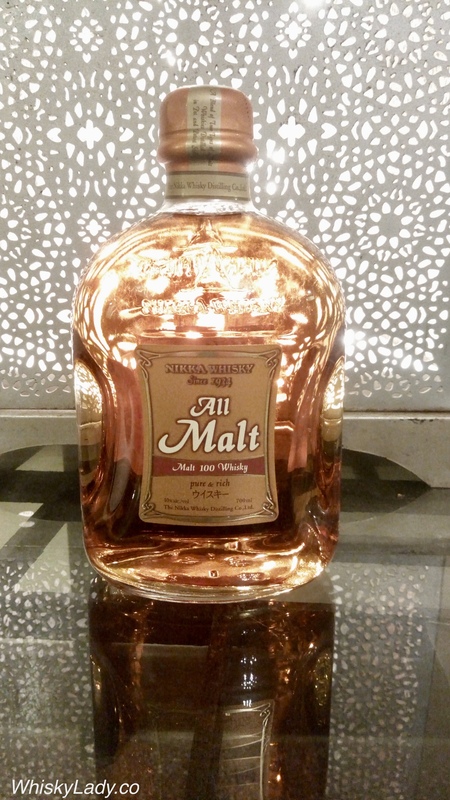 Hence the name “All Malt” as each of its components are malted. Overall we found it quite satisfying. No pretence – just a solid blend – pure and rich are indeed a good way to describe it. One remarked that it had an almost highland quality. For an evening with cigars, it more than held its own… an important quality in a good whisky for these gents! 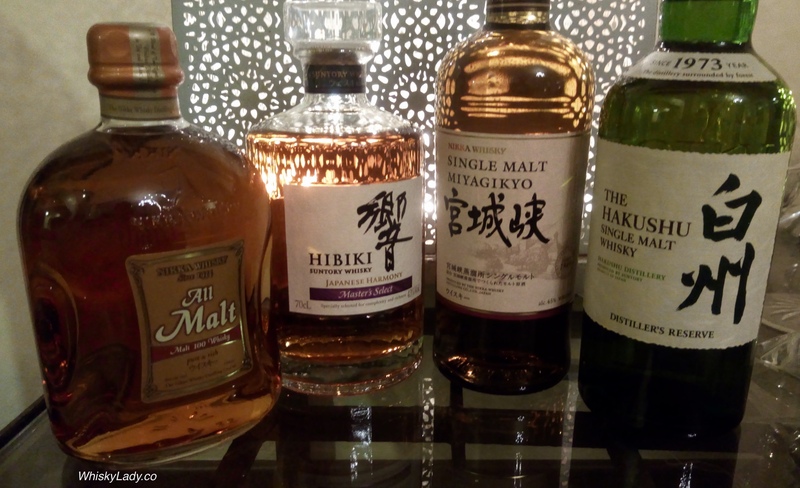 The Nikka All Malt also buck the pricey trend with Japanese whisky – keeping to a below $50 range (depending on where you buy it). And what else did we sample in our Japan Jaunt? 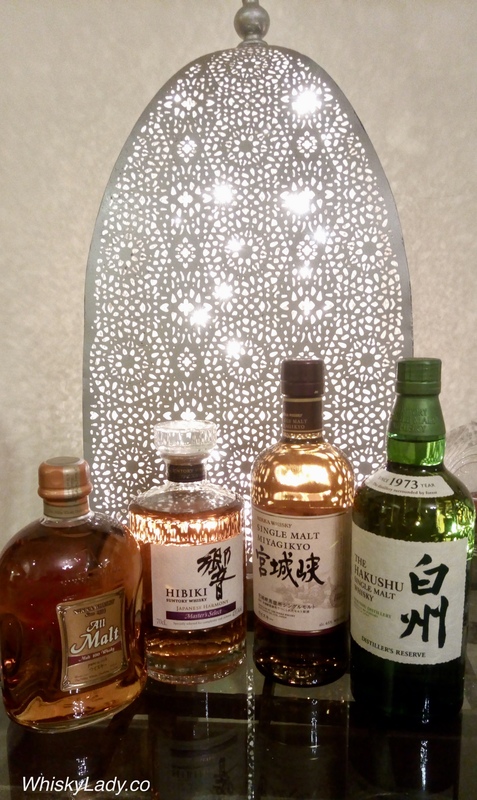 After spending time exploring the Nikka “From the Barrel” at our Whisky Ladies “Diwali Drams” evening, we compared it with a revival of an earlier incarnation of their standard “Super Nikka Whisky”. What did our Whisky Ladies think? Nose – Candy floss, that Hallowe’en candy corn of brightly coloured kernels of yellow, orange and white tips, caramel nuttiness, a sweet almond paste, cola that has gone flat, then from somewhere an unlit charcoal, slightly musty, a hint of chocolate? A dash of pine? Finish – Lovely finish, cinnamon sweet though a bit abrupt – here then gone. 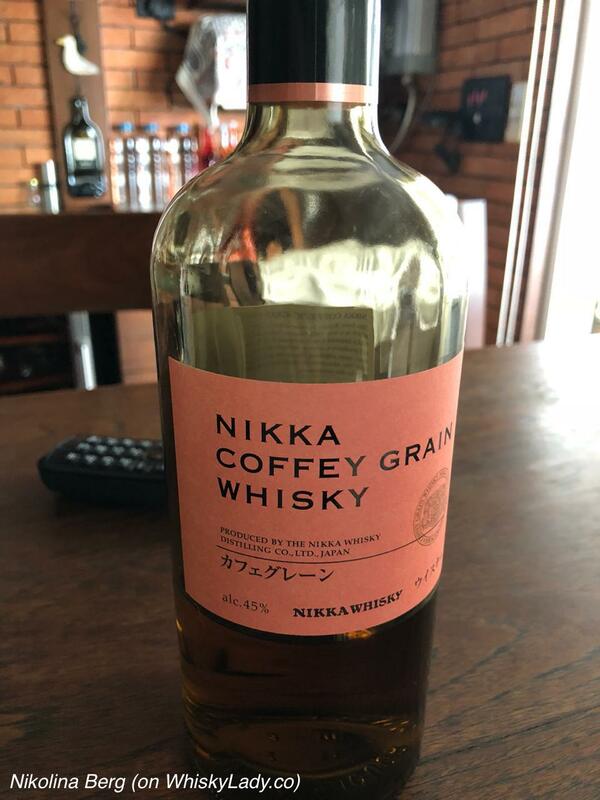 And what do the folks over at Nikka have to say about Super Nikka? 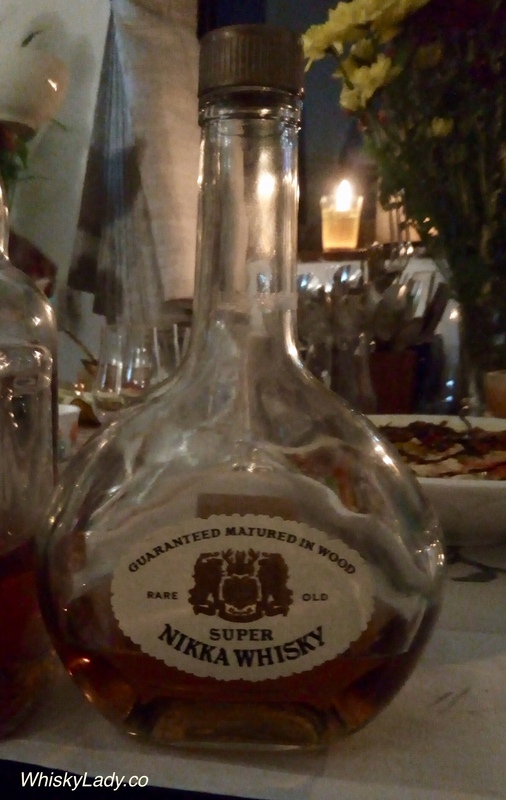 One of Nikka’s classic brands, the Super Nikka was introduced to the market in 1962. 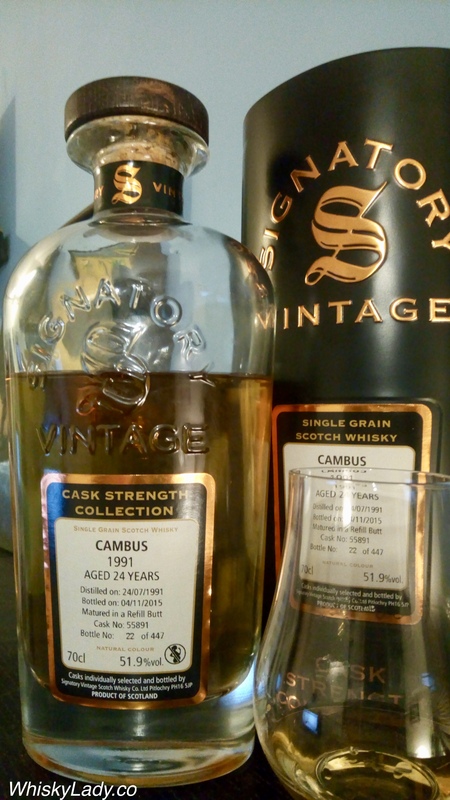 Its luxuriant aroma, gentle hints of peat and scent of vanilla and chocolate are all in harmony, and its flavor is smooth, rounded and well-balanced. And the results of our “head to head”? The Nikka Super Whisky was the most popular – for its sociable character in keeping with the mood of the evening. And yet there is no doubt the “From the Barrel” is a fine dram that demands attention. 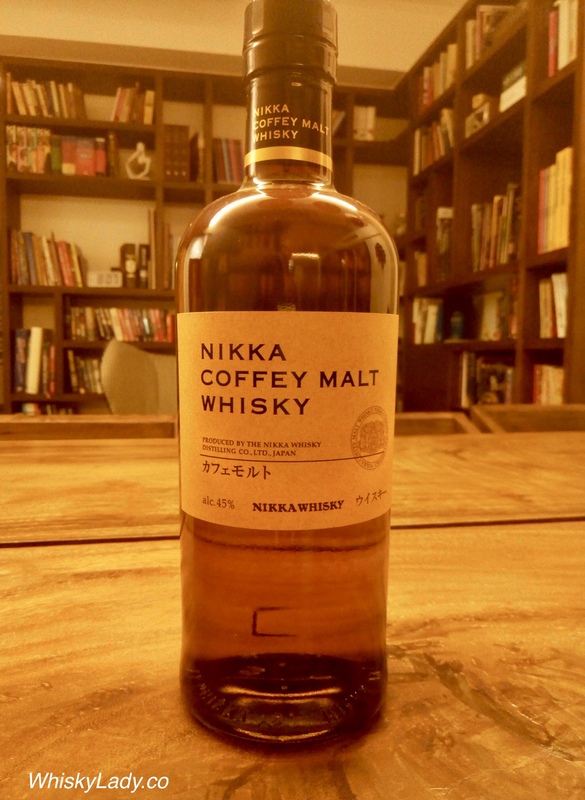 The “Super Nikka” we sampled had recently been opened and tasted at our October 2017 Mumbai session, last seen on Master of Malt for $55 (sold out). 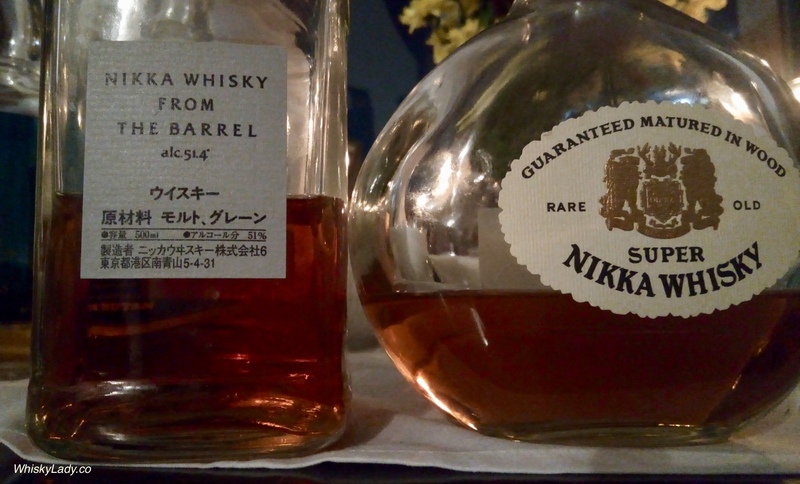 Last in the Whisky Ladies “Diwali Drams” evening was a “head to head” comparison between two Nikka blends – their cask strength “From the Barrel” and a revival of an earlier incarnation of their standard “Super Nikka Whisky”. 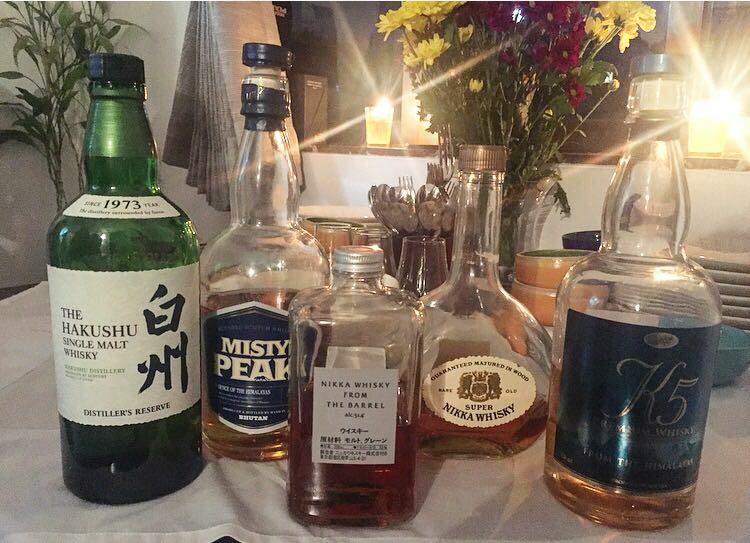 Both our whiskies fall into the “blend” category… What did our Whisky Ladies think? Nose – Coconut, like sweet honey nectar, fruits like pears, a bit of acetone, then coriander (or cilantro or… there was a debate on the different varieties!). After a sip, the nose gained some oil and nuts, then shifted into marshmallow and candied nuts. Finish – Last and last and lasts. Some absolutely loved it! Appreciating how it is bursting with character, a complex drink, one where a little goes a long way. Words like “Fabulous!” and “Mmmm” could be heard. The finish in particular was described as a “Fabulous, fantastic finish!” And exclaims of how well it could pair with certain food too. And yet for some, this was almost too much… in its sweet aromas, its dense concentration of flavours and long finish. 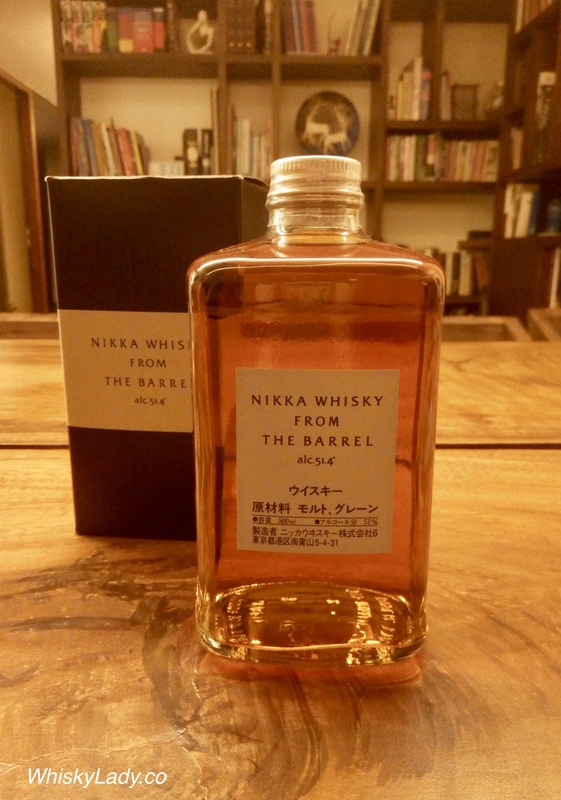 What do the folks at Nikka have to say about “From the Barrel”? PS – There may be added colour i.e. caramel. So then how did it stack up against the “Super Nikka“? Click the link and you can find out! 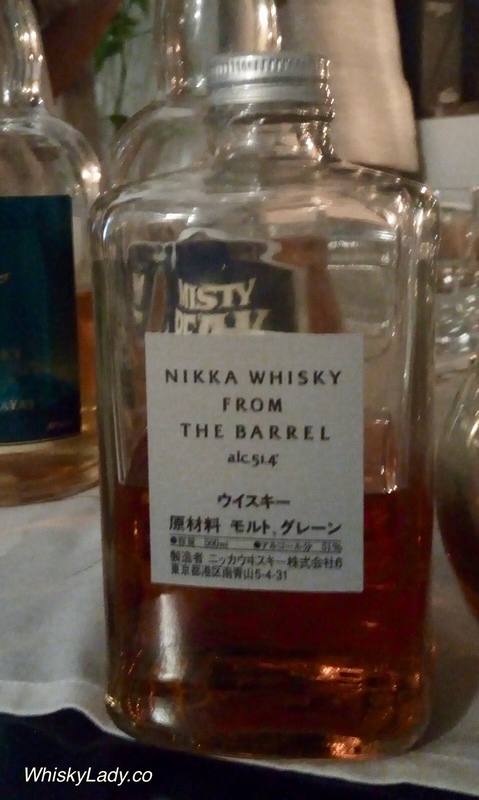 The Nikka “From the Barrel” is a 50 cl bottle, sometimes found in duty free for around $50-75 and was opened during our session in Oct 2017. Gathering bedecked in their colourful finery, the Whisky Ladies came together to enjoy some interesting Diwali Drams… specifically from Japan and Bhutan. And while we didn’t gamble at cards, we did pit together different whiskies to see which prevailed! What all did we sample as part of our Diwali celebrations?